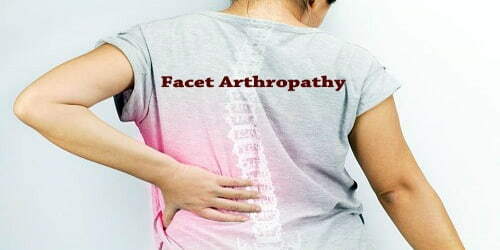 Definition: Facet arthropathy occurs when the facet joints degenerate or become worn down. In particular, the protective cushion between the facet joints that are made up of cartilage and fluid may become thinner or damaged through wear and tear. Over time, aging causes the facet joints to wear down. Arthritis of these joints may also occur over time, just as it might in any other joint. This is referred to as facet arthropathy. Arthropathy means any disease of the joints. A joint is a place where two bones contact each other. 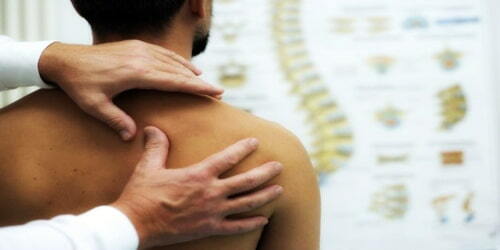 The main form of the joint disease is arthritis, which is joint inflammation. There are different forms of arthritis such as rheumatoid arthritis and osteoarthritis. As a result, the bones in the joints may rub together or not move as they should, which causes pain, swelling, and stiffness. And though there is no cure, treatment for pain and stiffness can significantly improve quality of life. Another form of arthropathy is crystal arthropathy, in which crystals are deposited in the joint, causing symptoms such as joint pain. In diabetic arthropathy, joint disease is caused by the effects of diabetes mellitus. Accidents or injuries – A car accident, sports injury, or a fall can damage one or more of the facet joints, leading to facet arthropathy. There is no single, obvious cause for facet arthropathy. Risk factors may exist, but they vary depending on which area of the back is affected. It can be difficult to know whether back pain is caused by facet arthropathy or something else. Other problems, such as back muscle injuries, sprains, or disc problems can cause similar symptoms, and the pain can vary greatly from person to person. 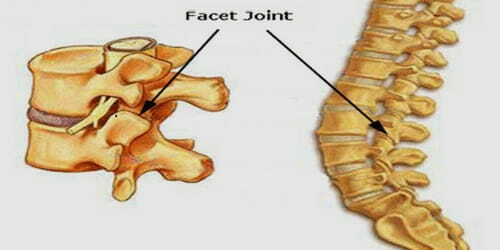 Facet arthropathy pain is typically relieved by bending forward. The pressure, or load, on people’s facet joints, is reduced when they bend their body forward into a spinal flexion position. Diagnosis and Treatment: Most people with facet arthropathy will complain of lower back pain that becomes worse when twisting, standing, or bending backward. Usually, the pain is confined to a particular point in the spine, and unlike the pain and numbness often caused by a slipped disc or sciatica, it doesn’t usually radiate into the buttocks or down the legs. The results of these tests can reveal which facet joints are damaged, if any, as well as the severity of the damage. Another way to help confirm a diagnosis is to have people’s painful facet joints injected with a mixture of local anesthetic and an anti-inflammatory steroid. If the injection relieves their back pain, it’s likely that facet arthropathy is contributing to their symptoms. Anesthetic injections. This is when a doctor uses a needle to inject a pain reliever or anesthetic directly into the spine. Spine surgery. A procedure known as spinal fusion can be used to fuse the affected spinal bones together into one bone. This can alleviate pain by stopping the damaged facet joints from moving. Although it is not always possible to prevent facet arthropathy, there are steps a person can take to reduce their risk of developing it.